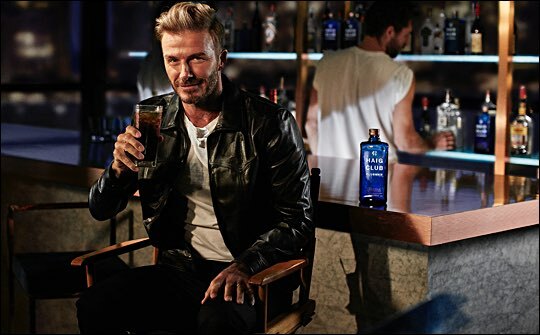 Following the success of Haig Club whisky, launched in 2014, Diageo with David Beckham and Simon Fuller, is introducing a new single grain Scotch whisky variant from the brand - Haig Club Clubman. Haig Club Clubman is designed to be different, stylish and modern while incorporating the House of Haig’s almost 400-year history. The inspiration for the name came from Haig advertising material dating from the 1920s when Haig was advertised as ‘The Clubman’s Whisky’. The new bottle, which retains the signature Haig Club blue glass and the distinctive square style, is elongated creating a new aesthetic and stand-out silhouette. Haig Club Clubman will be available across the UK from August at a RRP of £25 (further markets to be announced). The new Scotch is intended as a permanent addition to the brand. Ronan Beirne, global marketing director for Haig Club says: “Clubman aligns with our long-term ambition to offer a stable of Haig Club expressions at various price points to match different occasions and consumer tastes. Master distiller and blender Chris Clark has applied his over 30 years of experience to create the Haig Club Clubman liquid, seeking to make a Scotch whisky with the perfect combination of distillery character and American oak influence. He has matured Haig Club Clubman exclusively in American oak casks that have previously held Bourbon, allowing the sweet, gentle single grain Scotch whisky from Cameronbridge to interact with the vanilla, butterscotch and sweet toffee flavours found in the ex-bourbon casks.